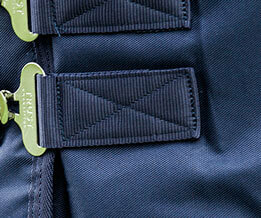 Since the start of our business in 2008 we have worked together with the brand TRUST. Our experience with TRUST is that they also bring innovative products to the market, all driven by profession product development. In every product you notice that the people behind TRUST are true equestrians and that they are aware what the professional and amateur, who is seeking for quality, needs. Our horses are all covered by TRUST rugs. The Tetris-system ensures freedom at the withers and a stable position of the rugs. They are also very durable; after years of use the rugs still look great! TRUST always brainstorms along with the wishes of top riders. So together we develop the most innovative products, it's great to be part of this team. No bit is too much trouble at TRUST, everything is possible when it comes to special bit combinations. For every specific wish TRUST provides a solution in the form of bits. My horses and I fully rely on the quality of TRUST products. What material works best for my horse? The handcrafted and anatomically shaped bits of TRUST are designed and produced in the Netherlands, in Oisterwijk to be precise, a small city in the province of Brabant. A signature feature of the bits is the TRUST logo that is visible on both sides of the bit. 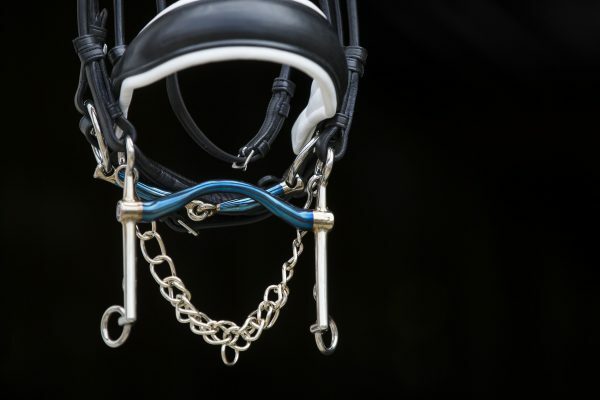 The TRUST bits are manufactured in three different materials: “Sweet Iron, Inno Sense and leather.” So how do you know which one is best suited for your horse? 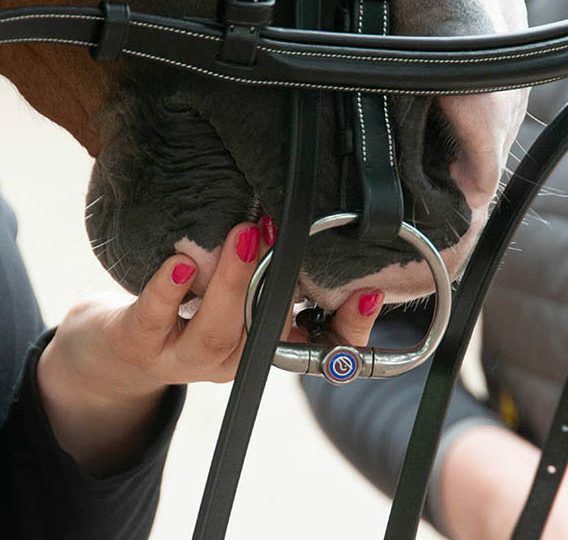 In this blog we give you more insight in the various types of materials the TRUST bits are made of, so that you, after reading this blog, have a better idea which type of TRUST bit is the best fit for your horse. How to find the right bit size for your horse? 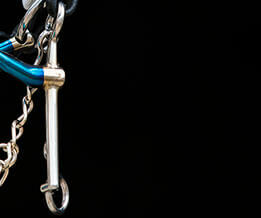 At TRUST, we often receive questions about finding the bit size that is right for a horse. The correct bit size is essential! A bit that is too small may pinch and cause irritations at the corners of the lips, while a bit in a size too large slides unstably from side to side through the mouth. 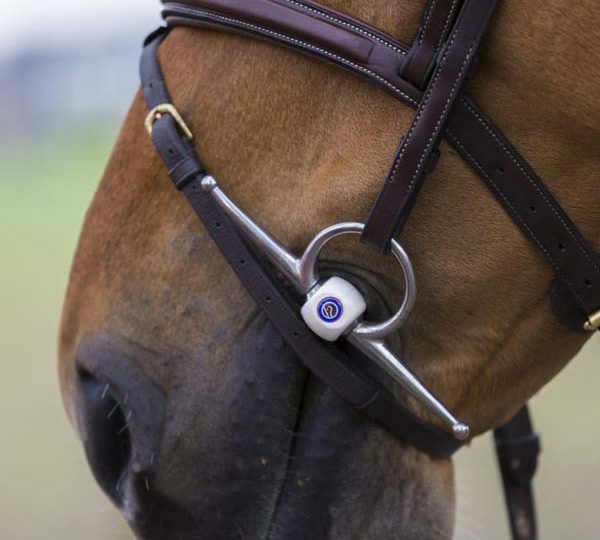 A well-fitted bit rests comfortably at the corner of the horse’s mouth, whereby the mouthpiece sticks out minimally on both sides. The difference between the cheek piece and the mouth piece can be seen in the image below.